I have made a good start on getting my desk tidied back up after weeks of being a disaster area. And let me tell you — it is grand to be able to move my arm without obstruction, ha ha. 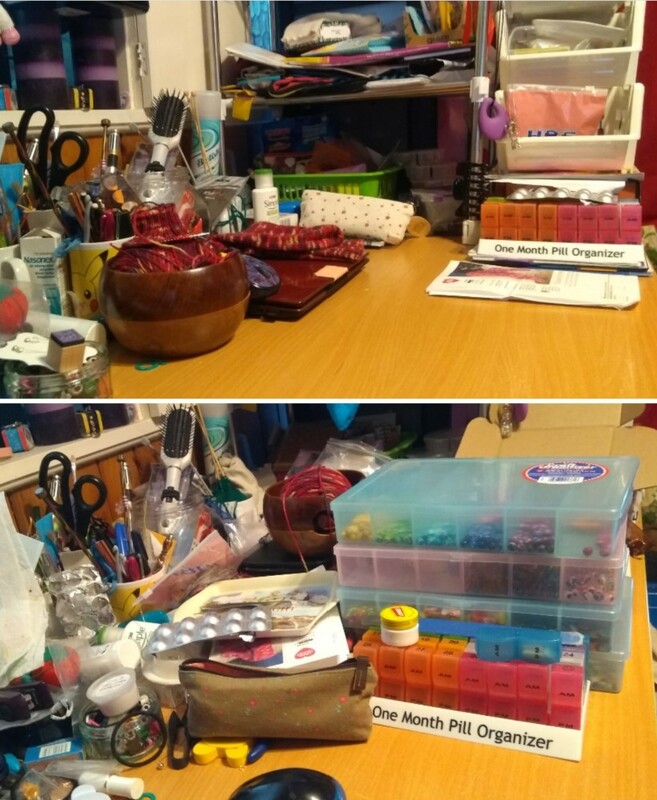 I’ve also combined that with getting some of the things for Saturday boxed up and moved to the side, and of course, getting the assorted crafting materials tidied back up as well. So that’s nice. My well-being is definitely affected by how cluttered my space is, and while I can take on a lot of clutter, the whole ‘huh, can’t actually move my arm’ thing was getting to be a Big Deal™®. I guess that’s the main thing. Tomorrow will be for any last-minute pottering and prepwork, and hopefully, some actual work-work as well. We’ll see!